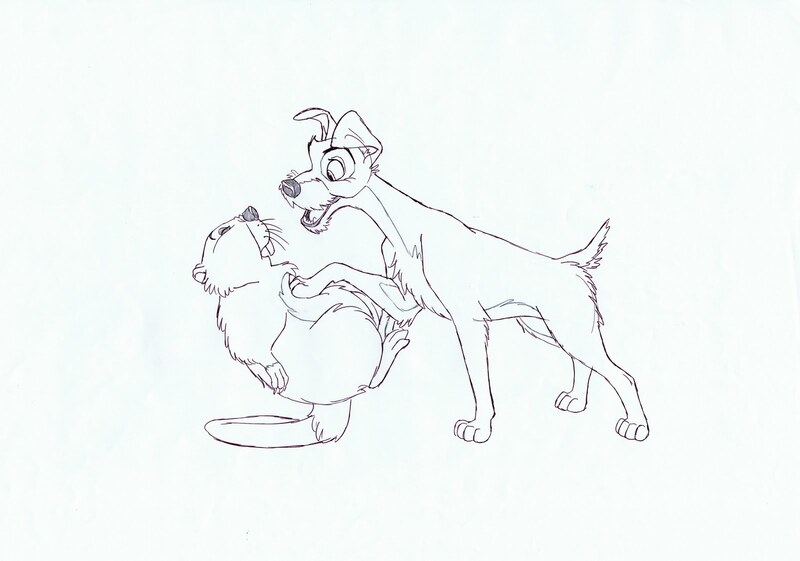 I talked about this scene before from Lady and the Tramp. 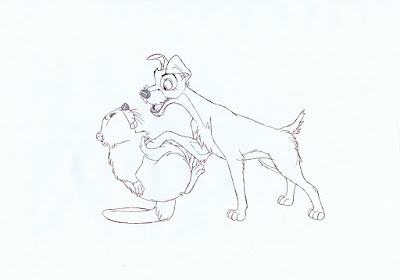 Tramp, the salesman, is trying to convince the Beaver at the zoo how useful Lady's muzzle would be as a genuine log puller. 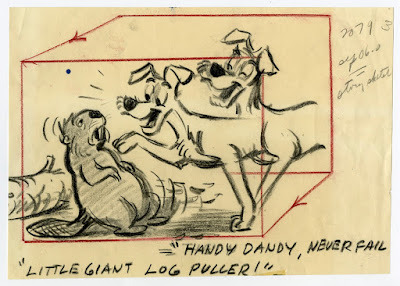 I just came across the story sketch, animator Milt Kahl used as a springboard for his animated performance. Amazing to see that the idea for the characters' staging remains the same, just much improved. The fact that the Beaver's body ends up in the air, held by his tail, adds a nice comic touch. And again Milt finds a way to connect both characters graphically by streamlining Tramp's pose and lowering his rear body. I am always fascinated to find out how inspirational the story sketches were to the animators and how much they changed to make the scene their own. I'll post another example shortly from Bedknobs and Broomsticks...different situation, the animator had to start almost from scratch because of a weak story sketch.